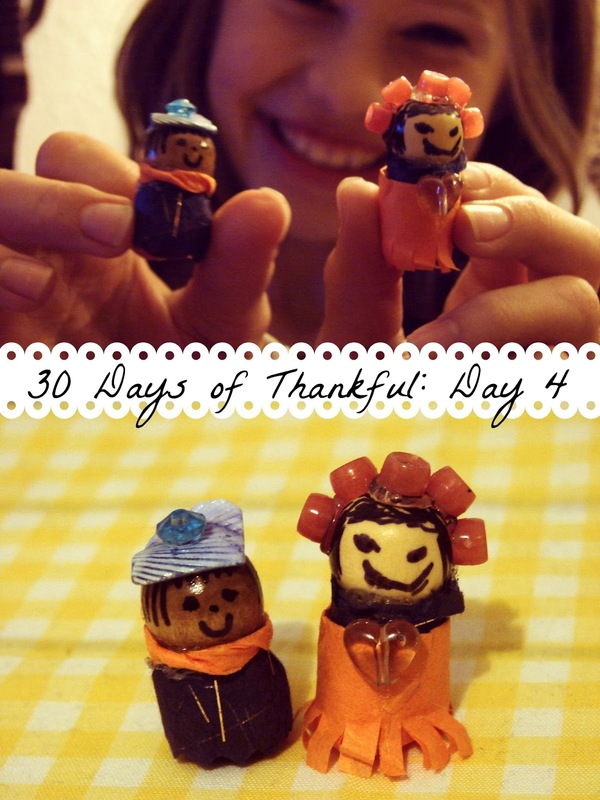 Life got busy and I kind of lost steam for my 30 Days of Thankful project. I have found myself thinking daily however what it is that I am thankful for...just haven't had the time to get online and post it every day, and that's alright. It was a great weekend here...wanted to share photos even though they are all completely random. Saturday Zoey had a friend over and since it was the first weekend that we had some "real" snow on the ground they took advantage of it! Sledding fun was had, hot cocoa with mini marshmallows afterwards...the whole bit. Love winter! While the girls were sledding I was able to get a little crafting done for an upcoming girl and doll Christmas party we'll be having for some of Zoey's friends. They turned out cute! After Zoey's friend went home she was pretty tuckered out and played on the iPad a bit. We got some new apps downloaded for her using an iTunes card we had. This game pictured below Toca Boca Hair Salon is actually free (one of Zoey's new favorites!) and Ethan had some fun choosing his next hairstyle on it. Zoey might just hold him to it! Sunday morning Zoey and I got up early and went to church and then she practiced for the children's service special Christmas program that's coming up soon. She gets to speak in a microphone for all her speaking parts and I could tell she loved it! It's going to be fun to watch this year. I might have volunteered to cut out 150 stars in all my spare time, trying not to think about that right at this moment. After lunch we did some chores around the house and ran some errands and then Zoey and I had some fun decorating her doll area for Christmas. Love, love, love this! Such a special tradition to have. After our decorating was done it was time for dinner and it was pizza night! Yum..yum! Our gluten free pizza's were delicious! Dessert was some black cherry frozen yogurt. And then there was this to look at afterwards. What a way to end the weekend. 30 Days of Thankful: Day 5 No picture today, but for my 30 Days Of Thankful I am thankful that I am somehow granted the patience (and somehow the wisdom) to parent a 4th grade girl when I/she seems to need it the most.